It is therefore advised to use a computer software. The most commonly used is JOSM which is written in Java. It is compatible with a majority of OS (Windows , Linux, … ) . In a grim look at the beginning , its use is quite simple when you aware of mouse way of use (right click to move , left click to perform an action ) and particular tools needed to start editing. Which data can be used when you want to edit the map? This is the preferred method : no map or satellite view can replace the track recording on the ground that will transcribe on the map what is really existing . Two types of devices can be used to record those GPS tracks: GPS dataloggers or a smartphone with a dedicated application. 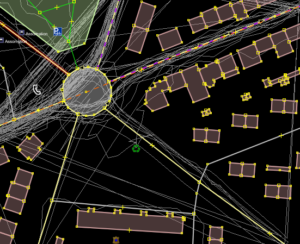 Gpx tracks can be sent over to openstreetmap servers to improve the track database that will be used to refine the road location. More details on this Can be found on second page of this post. JOSM can display a Bing map or satellite view. 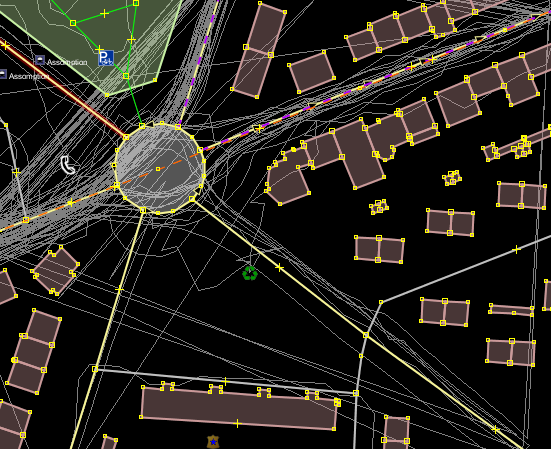 Agreements have been approved with Microsoft to use such data to plot routes in JOSM . Depending on the geographical area, satellite views are more or less recent . Generally , satellite view is not adapted to take into account recent geographical changes. An important point is to be considered in JOSM : the type of projection and datum used . Different projection modes znable flattening our beautiful blue earth onto a flat sheet ; different coordinate systems are also available to specify a location on earth. The datum used worldwide (as well as GPS positioning system ) is WGS84 . Regarding projection type, Mercator is the one generally used worldwide. Behind these complicated terms is a simple fact: Bing provides maps using the Mercator projection , we must also set JOSM to use this projection mode if we want to enjoy those Bing maps. The display of the Bing map can then be activated using the “Imaging -> Bing Sat” menu. It is possible to temporarily hide this map by acting on display option of the corresponding layer. 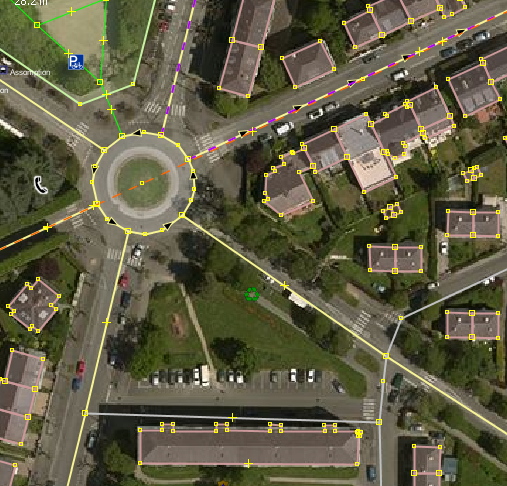 Thanks to plugin cadastre – fr for JOSM it is possible to see french registry map as background layer to help drawing openstreetmap objects. 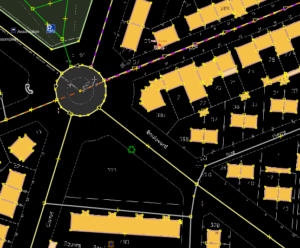 Using registry map includes a legal obligation to indicate the origin of the cadastral data. 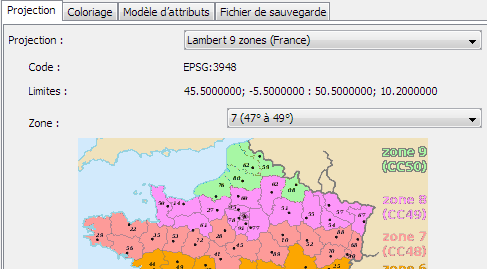 A comment in this direction is added automatically by the plugin cadastre -fr when working with the plugin. The French registry map are now 100% digitized and available on the web. Cadastral data in urban areas are generally very accurate (passage surveyors are systematically verifying) and updated regularly. In those areas, registry map are very reliable data source. Regarding rural areas, the data can be quite old and of low accuracy : in this case check the quality of data by onsite verification using a gps. Once the plugin is activated, you will have access to drop menu “Cadastre” . The most useful option is “Download registry map” which will download and display cadastral data for the geographic area currently displayed on the screen. “F10” key is a shortcut key that have the same behaviour, this is good to know shortcut. Indeed the quality of registry map displayed depends on the zoom level when it is downloaded. If you zoom in on an area it is strongly recommended to reload the cadastral data that will then reappear with much more details. We have already spoken about projection systems previously . The correct setting of the projection system is mandatory when using data from registry map. Cartographers in France use our own projection system allowing a more accurate representation of France. In case this setting is not correct in JOSM, then you may drw tracks that could be off by several tens of meters.The registry maps are using “Extended Lambert” projection system. This projection has the particularity to vary depending on the location in France. It divides the territory into 9 zones. You have to choose the correct projection but also the correct zone. 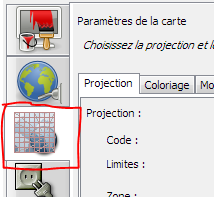 See above, for selecting the correct projection in “Preference” panel, using the tab “map parameter”. Projection mode “Lambert zones 9” is to be selected. Then the area corresponding to the department in which you want to make changes is to selected (see the map below for details ) . 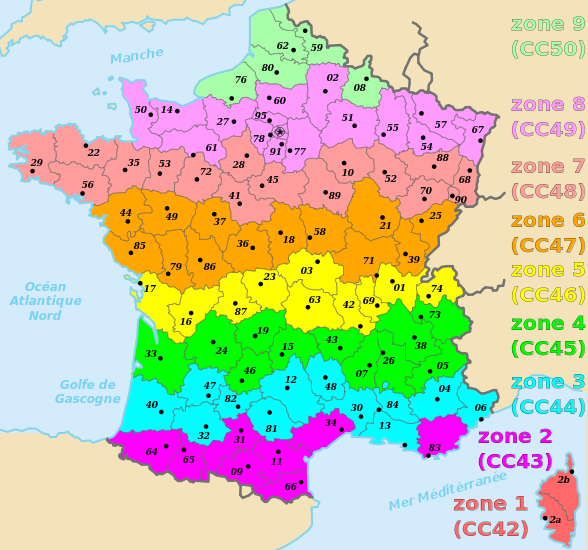 For example, in the case of department 35 ( Ille et Vilaine) , we have to select zone 7.